PlusHealth Singapore by IABPI Pte Ltd is an online health supplement store committed to bring only the finest nutritional supplements to our customers. To ensure the highest quality, every product selected by us has been tested for maximum purity and each formula is guaranteed free from contaminants, pesticides and impurities. We provide complimentary nutritional consultation, and invite you to contact us should you need any help in choosing supplements to suit your individual needs. We focus on the offering of high quality products that aid in prevention of chronic illness and enhancing quality of life. Founded in 2003, Naturext aspires to improve the quality of life for all by adopting a holistic approach from both Western and Eastern practices (Traditional Chinese Medicine), bringing the best of both worlds together when developing products. Chronic diseases are the leading causes of death and disability in most developed countries. Fortunately, chronic diseases – such as heart disease, stroke, cancer, diabetes and arthritis – are among the most common and preventable of all health problems. A chance of recovery or better quality of life can be achieved when dealing with these chronic diseases. Unfortunately, patients and their families are unaware of the depth of resources currently available; some succumb to their illnesses without ever approaching natural medicine, while some others are receptive to natural medicine but lack expertise to implement a program to their best advantage. Naturext believes in pursuing growth with social responsibility and is dedicated to providing safe and effective solutions for prevention and management of various chronic diseases. 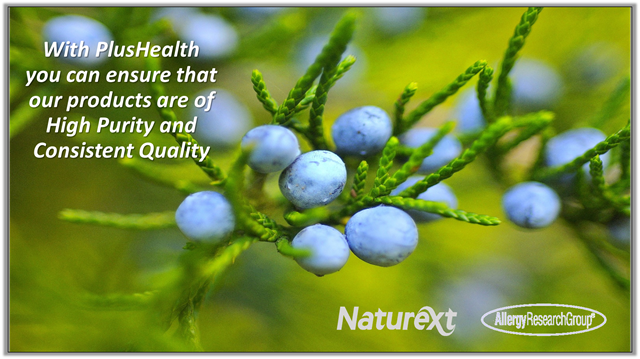 Naturext products are designed with the aim to provide synergistic, multi-targeted effect. Established in 1979, Allergy Research Group (ARG) is an innovation leader in research and the formulation of nutritional supplements. The company is recognized worldwide for the quality, purity and efficacy of its targeted nutritional supplement line consisting of more than 200 products. Over 4,000 physicians and health care practitioners worldwide currently purchase Allergy Research Group’s products and recommend these supplements to their patients.